Maud Clifford – History… the interesting bits! There are many women in history of whom we only have snippets of information. 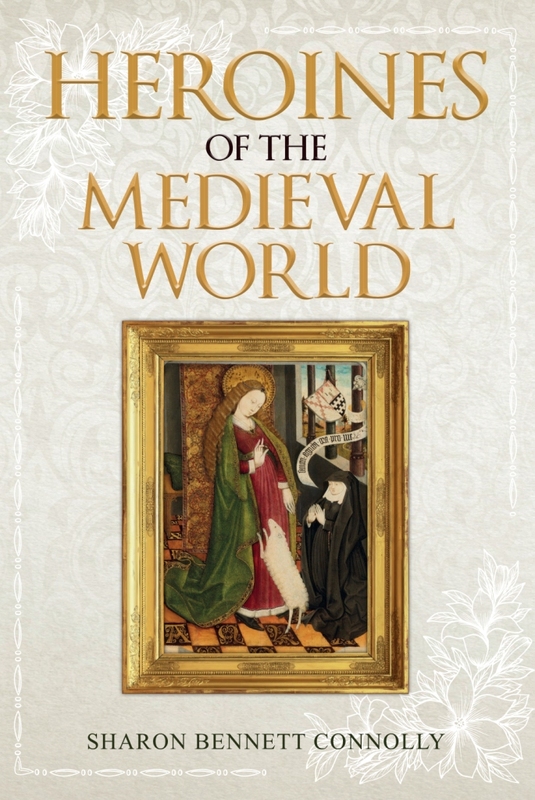 However, those snippets prove to be fascinating and demonstrate how closely the lives of noble houses were tied together – and how they were torn apart. Maud Clifford is one such lady. Born about 1389 at Brough Castle in Westmoreland, Maud (or Matilda) was the daughter of Thomas Clifford, 6th Baron Clifford, and his wife Elizabeth de Ros. Maud’s brother, John, has also been given 1389 as his possible year of birth. It may be that John or Maud were twins, or that they were born within a year of each other. Their early childhood cannot have been very pleasant. Their paternal grandfather, Roger Clifford, died in July of 1389, probably of a stroke. In October 1391, their father, Thomas, died. 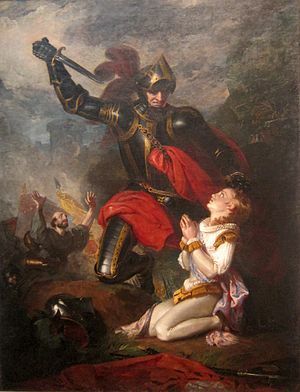 Whilst in Königsberg Thomas had had a disagreement with Sir William Douglas, illegitimate son of the earl of Douglas; Douglas was killed in the ensuing brawl and Clifford, overcome with guilt, went on pilgrimage to Jerusalem in penance. He died on an unidentified Mediterranean island whilst on the way to the Holy City. Nothing else seems to be known of Maud’s childhood. Sometime before 1406 she was married to John Neville, Lord Latimer. For some unknown reason the marriage was never consummated and Maud successfully sued for an annulment. The marriage was dissolved with very favourable terms for Maud; some of the Neville lands had been put in trust for Maud and, even though the marriage had been declared invalid, she was allowed to keep them. Maud was, therefore, a very attractive bride for a landless earl. Richard of Conisbrough, earl of Cambridge, was the poorest – and the only landless – earl in England. He lived at Conisbrough Castle in Yorkshire as the tenant of his older brother, Edward, Duke of York. Richard was a widower with 2 small children; his wife, Anne Mortimer, had died sometime after 1411, when she had given birth to their 2nd child, Richard (future Duke of York), probably at Conisbrough Castle. It is not known when Anne died, but it was before 1414, which is the probable date of Maud’s marriage to the earl of Cambridge. Unfortunately the marriage proved to be short-lived, with Richard of Conisbrough becoming involved in the Southampton Plot, a plan to overthrow King Henry V and replace him with Richard’s brother-in-law, Edmund Mortimer, Earl of March. However, March revealed the plot to the King and Richard and his accomplices were arrested, with Richard beheaded for treason on 5th August 1415. Richard of Conisbrough was not attainted, so his lands, such as they were, were not forfeit to the crown. Maud was allowed to remain at Conisbrough Castle, and her step-son, Richard, would be allowed to inherit the Dukedom of York from his uncle, Edward, following his death at Agincourt in October 1415. It is not clear how much contact Maud had with her step-children. The eldest child, Isabel, had been born around 1409; she had been betrothed in 1412 to Sir Thomas Grey and it is possible that she was raised in the household of the Grey family. As Duke of York, Richard’s wardship and marriage was a great prize, and would eventually go to Ralph Neville, earl of Westmoreland; with York marrying Neville’s daughter, Cecily. The Yorks’ eldest and youngest sons would become the Yorkist kings of England; Edward IV and Richard III, respectively. Maud would continue to use Conisbrough Castle as her principal residence throughout her life; she received an annuity of £100 from the Earl of March, perhaps to assuage his guilt in the part he played in her husband’s downfall. 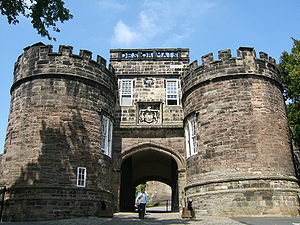 She seems to have led a full and active life, and remained very close to her Clifford family; they stayed with her often and she was a regular visitor to the Clifford home of Skipton Castle. 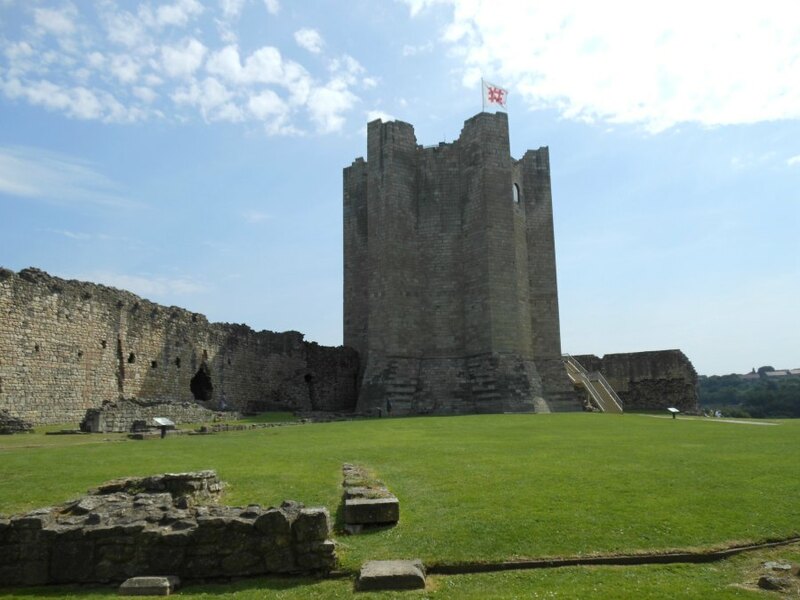 Her nephew, Thomas and his family, lived with her at Conisbrough for a year in 1437, while his castle at Skipton was undergoing extensive works. 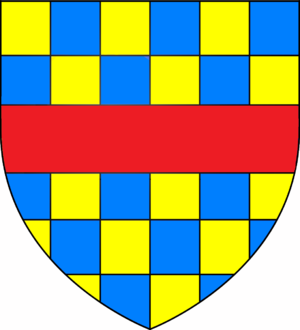 On 8th April 1435 Maud’s great-nephew, John Clifford – the future 9th Baron Clifford – was born at Conisbrough Castle. He was the grandson of Maud’s brother, John, and son of her nephew, Thomas, and his wife, Joan Dacre. Baby John would have been born either in the solar of the keep itself, or in the family apartments above the great hall of the inner bailey. Either way its most likely he was baptised in the small private chapel within the keep; with Maud as his godmother. 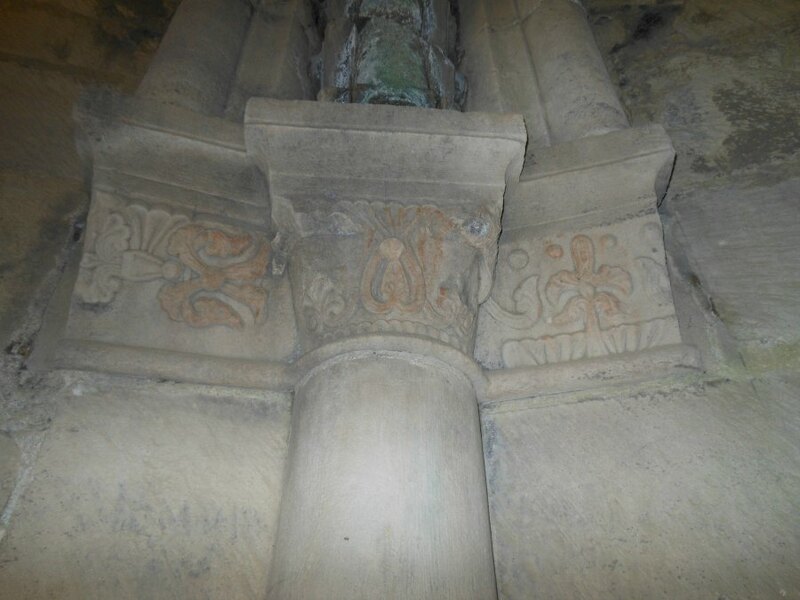 The chapel is built into one of the keep’s 6 buttresses and, despite the years and water damage, it is a wonder to behold, with exquisite designs carved into the stone columns, and the vaulted ceiling. Maud’s brother, John, was killed at the siege of Meaux in 1422 and her nephew, Thomas, would be killed at the First Battle of St Albans in 1455, supposedly by Richard, Duke of York, himself. And so it was, that on the 30th december 1460, at the Battle of Wakefield, John Clifford is said to have taken his revenge by killing York’s son Edmund, the 17-year-old earl of Rutland. Whether or not Clifford uttered the words ‘as your father slew mine, so I shall slay thee’ as he killed young Edmund, is entirely debatable, but the event serves to highlight how closely the noble families of the Wars of the Roses were related. There is some suggestion that Maud remarried in 1429. The supposed groom was John Wentworth of North Elmsall, Yorkshire. However, this seems to be more of a family legend among the Wentworth family and only arose over 100 years after Maud’s death. Maud’s will demonstrates her closeness to her family, and serves as an insight into her comfortable life and the sumptuous furnishings of the castle. To Thomas, Lord Clifford, my relation: a ‘hall’ of arras [a fine woven wall-hanging from Arras] bought from Sir Robert Babthorpe; my bed of Arras with three curtains; four cushions of red silk; two long cushions of cloth. To John Clifford, my godson: 12 silver dishes, 6 salt-cellars signed with the ‘trayfulles’ [trefoils] and a shell. To Beatrice Waterton, my relation: a gold cross, which belonged to my mother; my green Primary [a book of readings from the Bible]; a diamond; my best furred robe with ‘martes’ [marten fur]. To Katherine Fitzwilliam: the brooch that I wear everyday; a small black Primary; a jewel called Agnus Dei covered with silver and written around with pearls; my best robe furred with miniver [white stoat fur]. 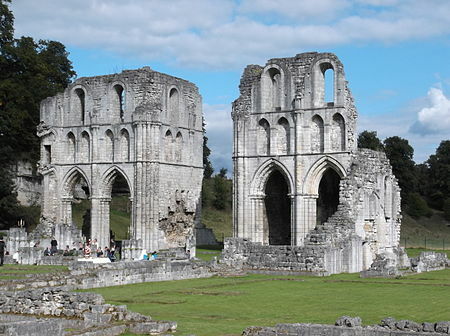 Maud died, of an unknown illness, at Conisbrough Castle on 26th August 1446 and was buried at Roche Abbey, of which she was a benefactor. Sources: Sources: The History Today Companion to British History, edited by Juliet Gardiner & Neil Wenborn; Brewer’s British Royalty by David Williamson; Britain’s Royal Families, the Complete Genealogy by Alison Weir; The Wars of the Roses by John Gillingham; The Wordsworth Dictionary of British History by J.P. Kenyon; The Oxford Companion to British History, edited by John Cannon; The Reign of Edward III by WM Ormrod; The Wars of the Roses by Martin J Dougherty; englishmonarchs.co.uk; womenshistory.about.com; findagrave.com; conisbroughcastle.org.uk; hrionline.ac.uk; English Heritage Guidebook for Conisbrough Castle by Steven Brindle and Agnieszka Sadrei; oxforddnb.com.